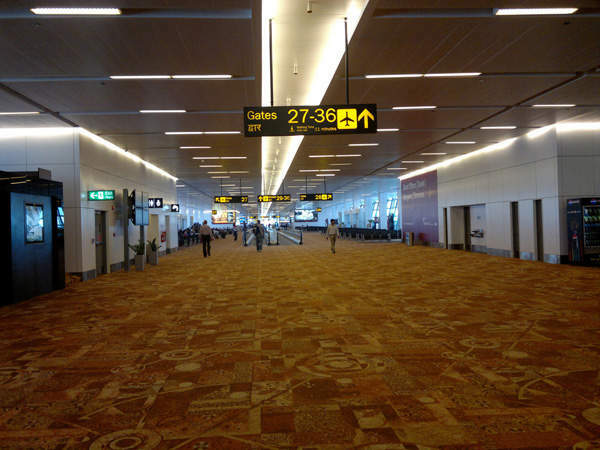 Terminal 3 at the Indira Gandhi International Airport was opened in July 2010. Credit: Ramesh NG. 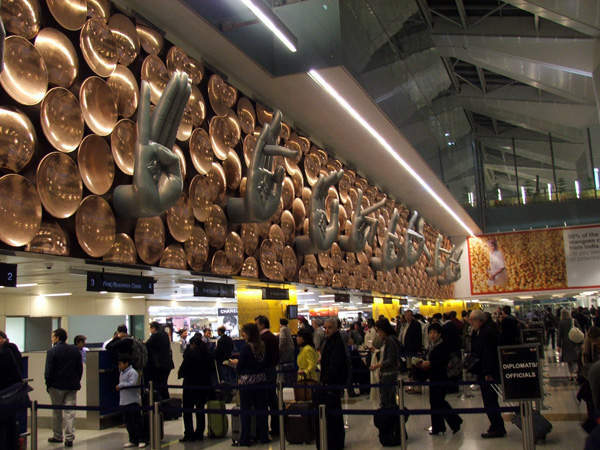 The nine mudras (hand gestures) designed at the entrance of the Terminal 3 complex at Indira Gandhi International Airport. Credit: Krokodyl. The 5.4 million square feet IGIA Terminal 3 is designed to handle 34 million passengers a year. Credit: PDXDUS. 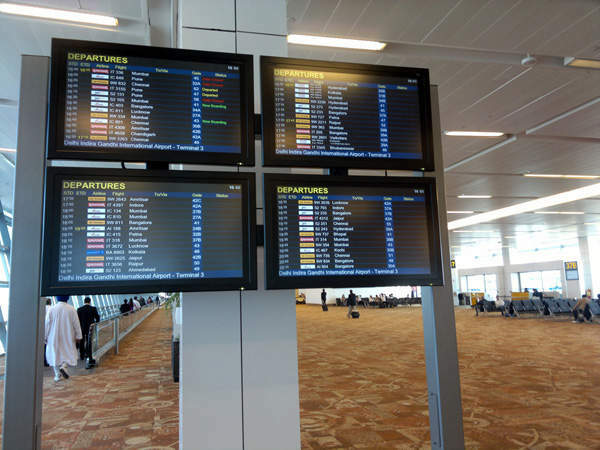 Indira Gandhi International Airport T3 has 168 check-in counters and about 800 flight information display systems. Credit: Ramesh NG. Construction of the terminal project was started in February 2007 and was completed on fast-track in 37 months, by March 2010. Credit: Ramesh NG. HOK and Mott MacDonald were the designers of the IGIA T3. Image courtesy of Ramesh NG. 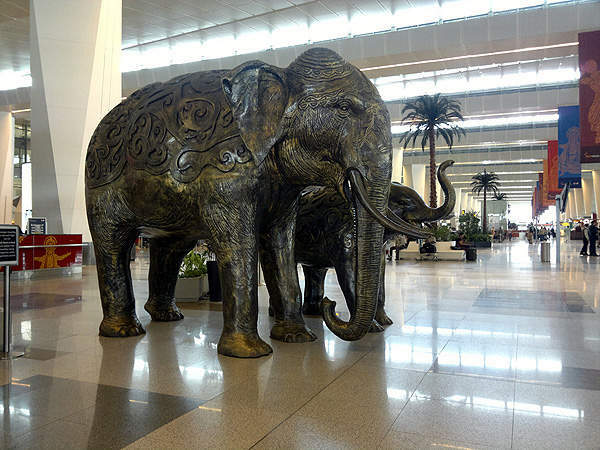 The terminal features arts and graphical representations that showcase Indian culture. Image courtesy of Ramesh NG. 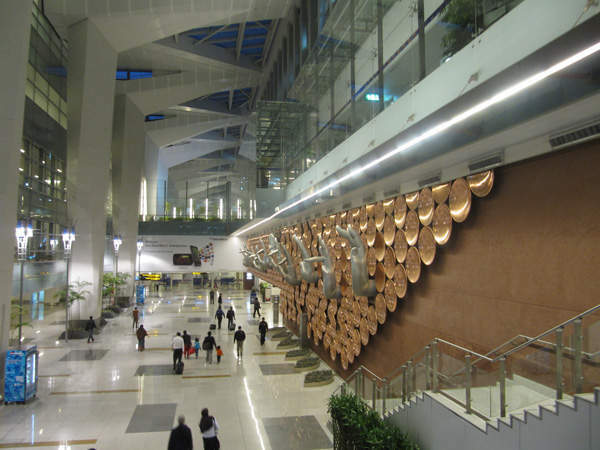 The international Terminal 3 at the Indira Gandhi International Airport (IGIA) in New Delhi, India, was opened in July 2010. The IGIA is the busiest airport in the country handling 46 million passengers a year. It is also the busiest in South Asia and is expected to handle 100 million passengers by 2030. 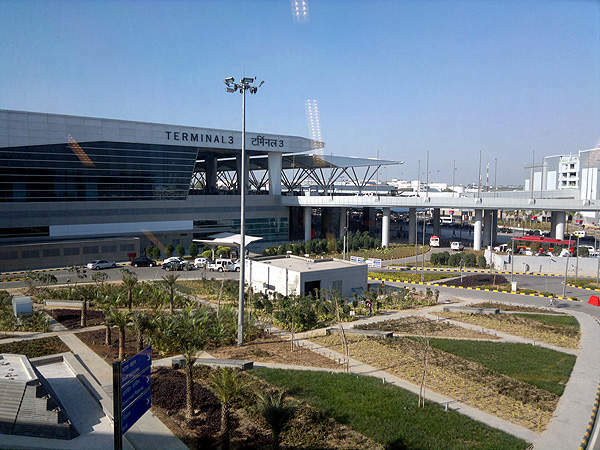 The IGIA Terminal 3 (T-3) was built to facilitate the 2010 Common Wealth Games held in Delhi. Built at a cost of Rs128.5bn ($2.7bn), the 5.4 million square feet (502,000m²) terminal is reported to be the eighth largest in the world. It can handle 34 million passengers a year. 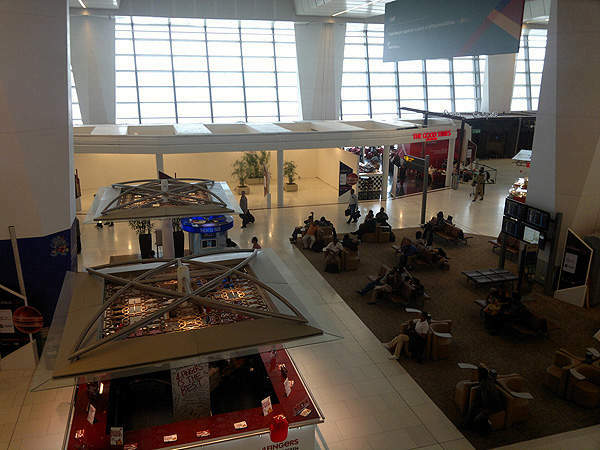 The airport is operated by Delhi International Airport (DIAL), a public-private consortium led by GMR Group. The stakeholders, GMR (54%), Airports Authority of India (26%), Eraman Malaysia (10%) and Fraport (10%), currently have concession to operate the airport for 30 years. The T3 has two levels, upper floor for departures and the lower for arrivals. It serves both international and domestic flights and features a 300m-long public area. The terminal has the capacity to handle Airbus A380 aircraft. Construction of the terminal project was started in February 2007 and was completed on fast-track in 37 months by March 2010. The project involved modernisation of the runway and aprons. The third 4.4km-long 11/29 runway was built in September 2008 to support the expansion. The nine-storey terminal building has two piers of 1.2km each. The T3 has six common check-in islands with 168 check-in counters. It has 95 immigration counters of which 49 are outbound. Three of the 78 aerobridges are suitable to support A380 size aircraft. The apron area is about 6.7 million square feet. Security is maintained using 3,000 security cameras and CCTV across the airport. The terminal is installed with 800 flight information display systems and 8,000 speakers. A 100-room transit hotel serves the international and domestic passengers. The terminal has a seven MLD drinking water and ten MLD wastewater treatment plants. The terminal is well connected by the Delhi metro railway and an eight-lane approach roadway. The terminal is a glass and metal frame structure. It has spacious interiors and features arts and graphical designs that showcase Indian culture. North light orientation of the building reduces solar gain and optimises daylight illumination. Public areas of the terminal feature 50,000 of architectural lighting. Priority was given to passenger comfort with about 20,000m² of space for restaurants, cafés, food outlets and bars. The terminal incorporates sustainable and energy efficient equipment to save energy and resources. The complex has 10,000m² of landscaped area. The Common User Passenger Processing System (CUPPS) in-line baggage handling system provides five levels of checking, including integrated X-ray and CTX scanners. The baggage reclaim area features 14 belts with two belts for out-of-gauge (OOG) bags. The Rs2.5bn ($45.6m) system has a 6,400m conveyor belt and can handle 12,800 bags an hour. It was supplied by Siemens; Crisplant and ARINC were the subcontractors. The terminal features 97 travelators, 63 elevators, 34 escalators and eight inclined walkways that connect the international arrival and departure levels. T3 30 parking bays for 2,200 cars. A new seven-level automated parking management and guidance system has been built for 4,300 cars. It is connected to the terminal by travelators. The terminal was designed by Mott McDonald and HOK (UK). Larsen & Toubro, Airbiz and Meinhardt Engineering were the construction contractors for the terminal building, aprons and the new runway. Parsons Brinckerhoff International was the project management consultant. Biltech Building Elements (BBEL) supplied 25,000m³ of autoclaved aerated concrete (AAC) material for T3 construction. ETA Engineering was the MEP and HVAC contractor. In 2008, DIAL awarded a seven-year contract to Honeywell Airport Systems for maintenance services of the new runway at Terminal 3. ABB was the contractor for installation of electrical sub-station and associated infrastructure. AGTS was the subcontractor. The airport security management and IT systems at the terminal were provided by CEM Systems and Unisys India respectively. The intelligent light fittings at the complex were designed by Entelechy Systems, based on the ABB I bus KNX technology.